Salem United Methodist Church Youth Group is comprised of 6th through 12th grade students. They are then divided by Middle School (6th-8th grade) and High School (9th-12th grade). The groups meet for Sunday School at 9:30a.m. with Middle school downstairs of the church and the High School in the Youth Trailer. The group then meets again on Sunday Nights from 4:00p.m. – 6:30p.m. The evening begins with Music and Arts with our Music Director Sarah. We then have dinner from 5:00 – 5:30 and then have youth time from 5:30 – 6:30. This is also the time we have small groups. The youth time consists of prayer time, games, “I Am Second” devotion videos, and devotions relating scripture to their daily lives. 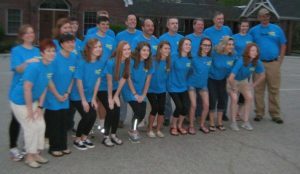 The group is also heavily involved with missions and service by doing Sunday missions each quarter, Salkehatchie in the summer, Come 2 gether service weekend in the fall and other times as the need and call arises. 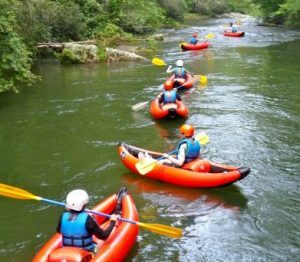 The group also does several fun activities such as spring retreats, scavenger hunts, fun day trips, and much more. We are a Safe Sanctuary youth program making sure all youth who participate are doing so in a safe and secure manner.